Some of you may realise that Android’s newest version, the Ice Cream Sandwich is coming real soon. Here are some leaked screenshots of the Google+ app 2.0 for ICS. Along with the 2.0 version, Google will also change the name of Huddle (now ‘Messenger’) on the Google+ app to ‘Chord’. Basically it still functions the same. Probably they thought the name ‘Messenger’ is too generic or common.. we are not sure, but do check out the screenshots below. First off, the notification bar has been moved from the bottom to the top. Notice ‘Messenger’ is now ‘Chord’. The tabs on profile screens have been moved to the top. 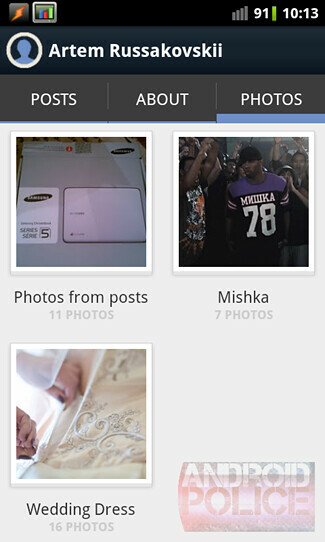 “Posts”, “About”, “Photos” now look a lot like the tabs in Android Honeycomb and IceCreamSandwich. Basically Google+ 2.0 is all about polishing of interface and does not add any new feature. Cant wait to get Google+ 2.0 for your Android? Try the links below. 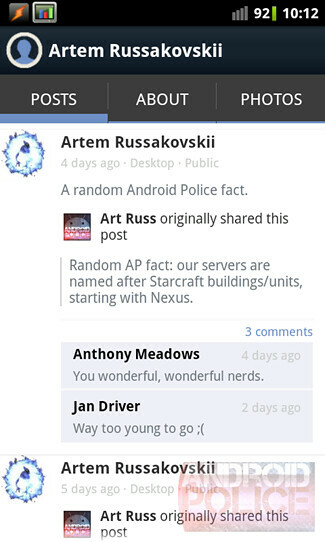 One Response to "Google+ 2.0 From Ice Cream Sandwich Leaked! [Screenshots]"
Nice! Be warned that clicking on Chord from the main screen doesn’t work yet – it’s crashing because it’s expecting Android Ice Cream Sandwich to tell the app whether it “hasPermanentMenuKey”. Since there is no such API in earlier versions, it crashes. 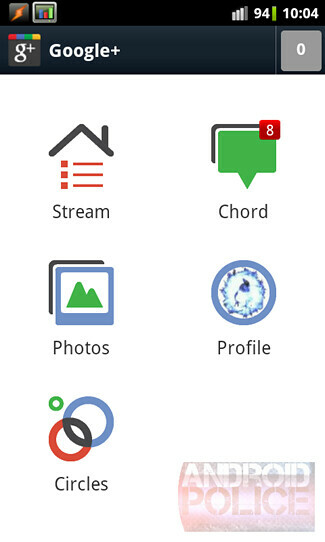 However, if you click on the Google+ user from the Stream, you can still use Chord.